IT’S HERE! Over six weeks ago I told you we were going to transform our boring, builder-grade powder room and I’m so excited with how it turned out! White beadboard was nice, but the list of likes pretty much ended right there when it came to this space. That giant, random cupboard with no doors was just a hoarding place for anything and everything. The ugly laminate was gross and boring. The accessories and finishes left much to be desired. The light belonged in my mom’s home and the mirror on the wall was bleh. After 4.5 years in our home it was time for a little budget-friendly update. Ready to see what it looks like now?? I never knew I could love a powder room so much! It’s so simple and so us. Since pictures are worth a thousand words, let me show you some more pictures of the space. After many paint tests, we started by painting the top half of the walls and ceiling Sherwin Williams Naval. I love the rich, bold navy and am so glad we chose to go this route! We took the old mirror, rotated it 90 degrees and then made a frame from 1×3’s for it. Add a few coats of matte black paint and you’d never guess it was the same boring mirror! The cabinet also got a fresh coat of paint. It’s so great what just some new paint and fresh ideas can do to a space! *This post contains affiliate links. For more information, see my disclosure here. Find all the sources linked at the bottom of this post. This light was easy to install and a steal at UNDER $80! 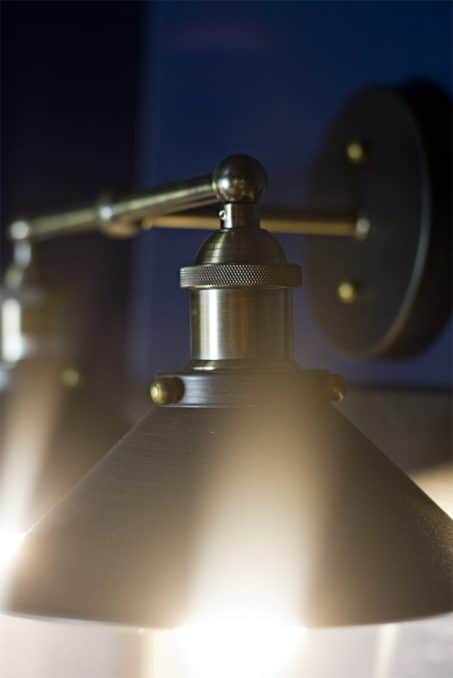 I had a hard time finding a light that wasn’t too industrial or farmhouse, but still modern, so I’m so glad I found this light. 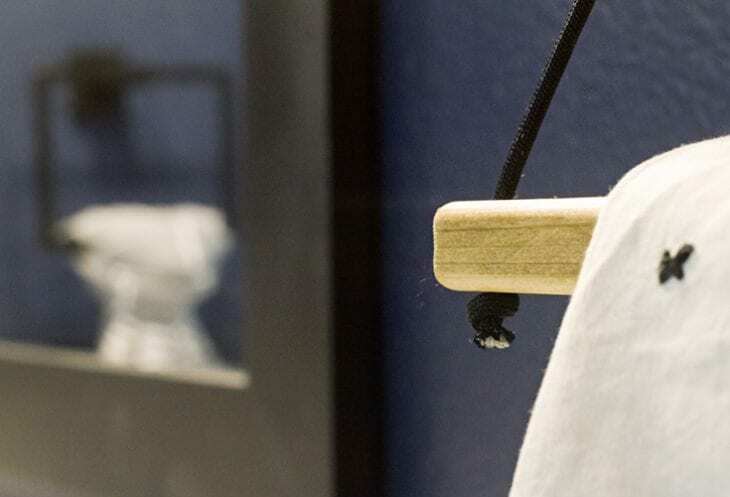 This little DIY hanging shelf was the perfect touch to hold a few little cutsy things above the toilet. I hope everything comes out okay. Sprinkles are for cupcakes not for toilet seats. Don’t hurry. Don’t worry. Do your best and flush the rest. So a small vase from Ikea for less than $5, a geometric orb from Fred Meyer’s, and one of the napkins from the Heart & Hand collection at Target were the winners. 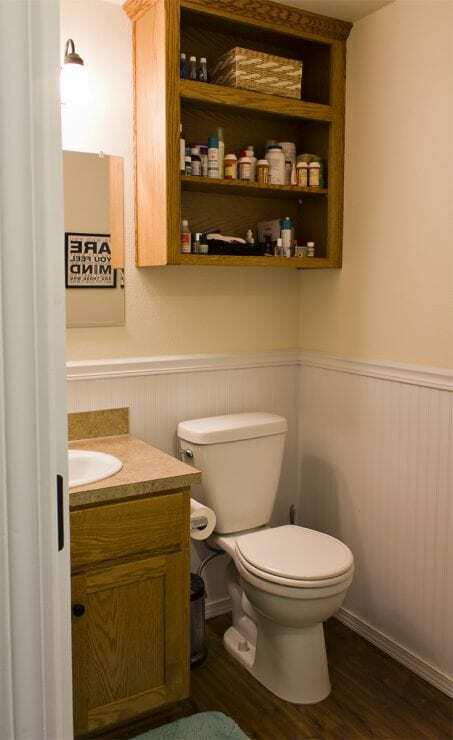 We didn’t need that huge cabinet that was above the toilet before since this is our main guest bath and all those medications and vitamins could be moved upstairs to our master bathroom that has an identical cabinet. 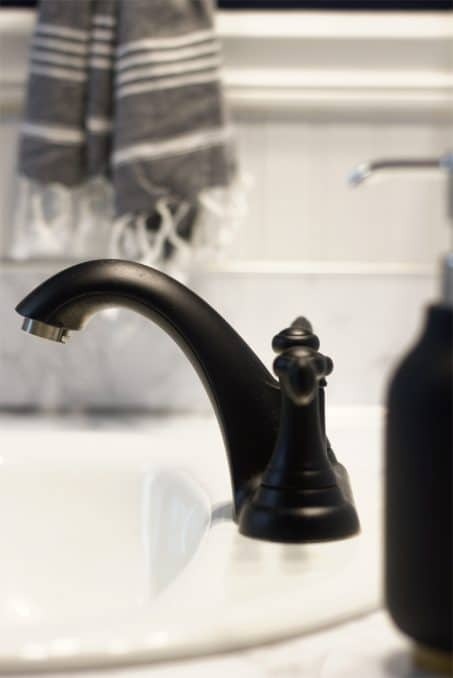 As for the sink faucet, I spray painted it with flat black when the sink was pulled off when we redid the countertops with marble contact paper. Check out that simple tutorial here if you missed it! This turkish hand towel is literally a dream! It’s my favorite and I want to buy some for every room in the house now. If you’ve never got your hand on a turkish towel, do it. You’ll never go back! I had a heck of a time finding a rug that was narrower than the cabinet and wasn’t just a solid color. 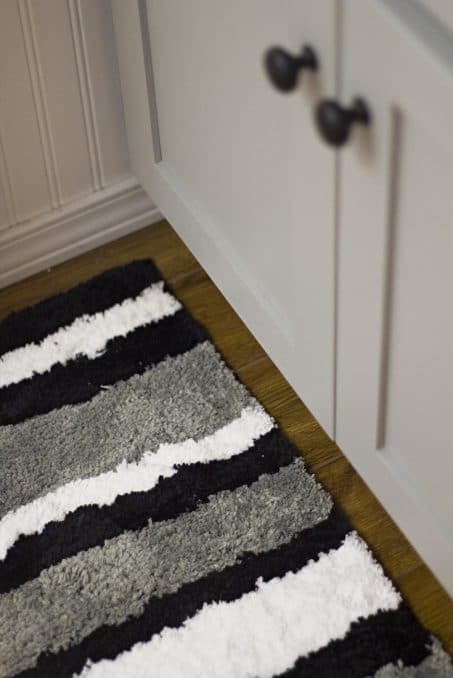 I love this neutral, striped rug that I was able to find on Amazon for less than $20. The matte black accessories were the perfect touch. The soap pump is from Target and the toilet paper holder is from Amazon. We moved the toilet paper to the other wall because I hated that you had to reach behind you to grab the toilet paper with where it was on the side of the cabinet before. I made that geometric art and just had it printed at Walgreen’s late the night before I was planning to photograph this space. I knew the room needed something on that wall, but couldn’t decide what to do. I’m love how it turned out and the clean lines tie in with the decor on the shelf. I had so much fun putting this room together and making it over! 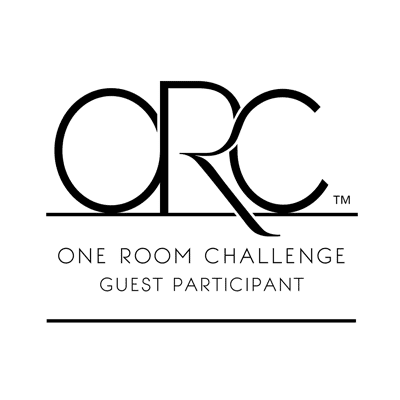 This is one of my favorite days of the year in blog-land seeing everyone’s transformation for One Room Challenge. 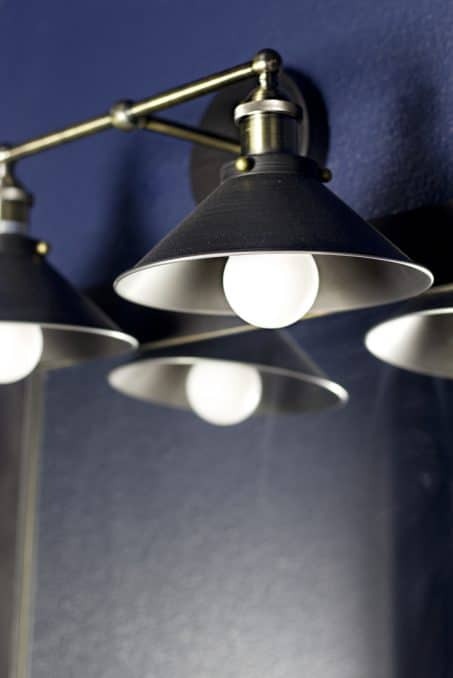 Be sure to check out all of the other fabulous room makeovers right here. 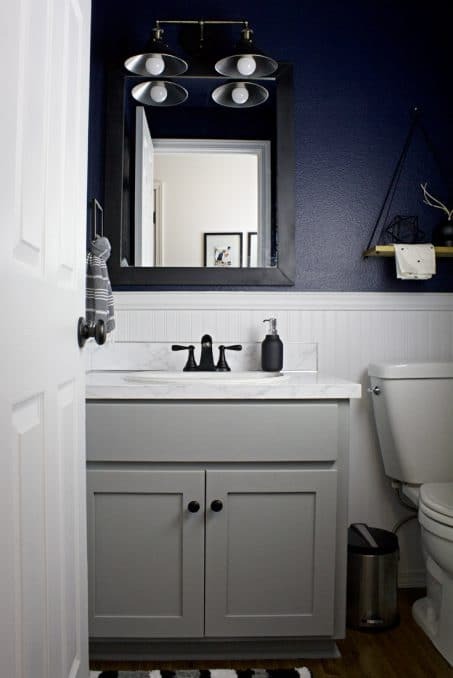 Love this dark bathroom makeover? I’d love for you to pin it or share it on Facebook with your friends! Great job, Amanda. I’m so glad you really love your new room. Haha yes! If we had a boy that would have been perfect!! Thanks, Susie! Love the blue walls! So pretty! The light is gorgeous too! Love the whole room! Beautiful! Thanks, Ruthie! The light worked out perfect! You did a beautiful job my friend! I would pick up this entire bathroom and plop it into my home, lol. LOVE it! Paint really does work wonders! I love the colors you used in the space and the floating shelf! 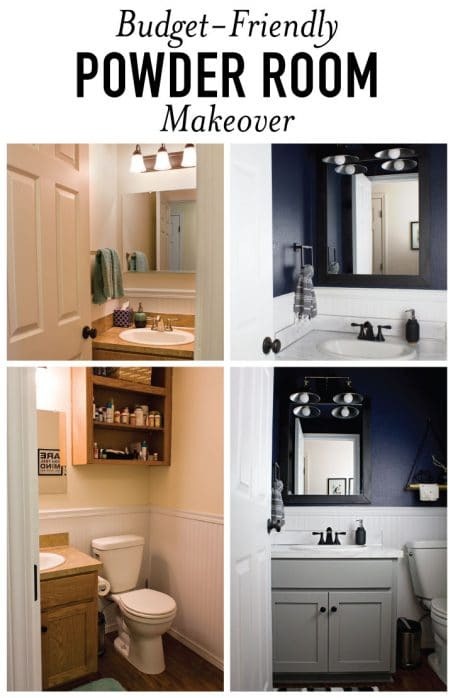 Love your bathroom transformation! That blue really helps to create a magical space!!! Great job! Love that you went dark with this guest bath. Looks so sleek! 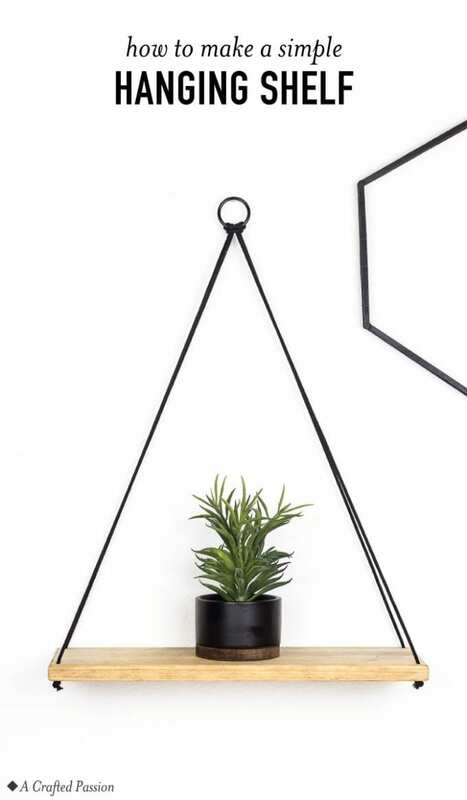 Love those lights (yeah…what a steal) and that floating shelf. The Turkish towel does look amazing. Bet it’s so soft! Nicely done! Amanda I just love your powder room!!! 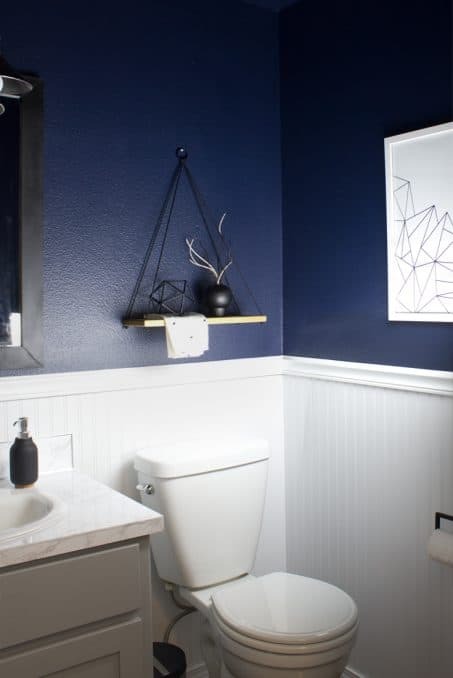 That navy blue color makes the space! Your shelf is so cute and I think you should still put a funny saying in there ;) Great job!!! It turned out so amazing! Loving the the paint colors. 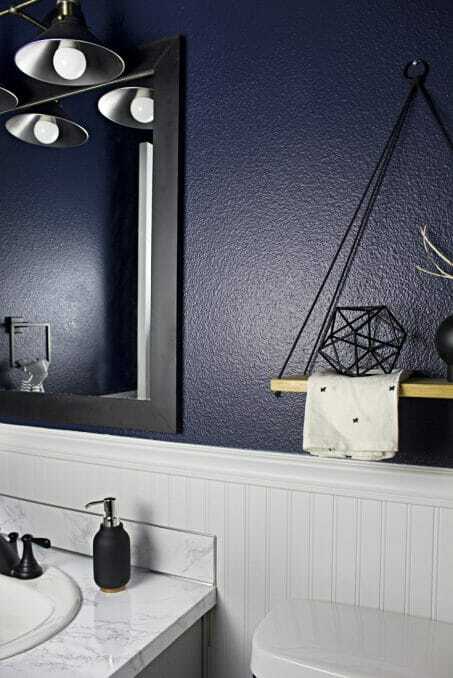 Wow I love that sleek dark navy paint off set by the stark white art work and bead board. This space turned out so nice, and all your hard work really paid off! beautiful!! Love the moody blue! Oooh, I am so having a moment with Navy! I adore this space. Such a nice update. Congratulations on a job well done. Wow! Such a difference! 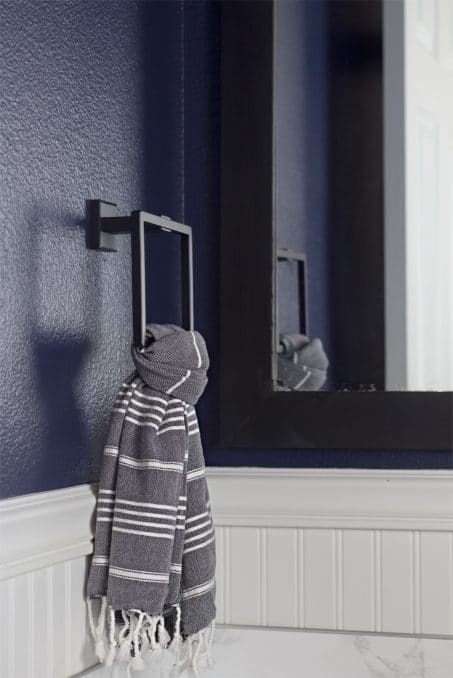 I love the finished especially that towel hanger. Pretty! You did a wonderful job. 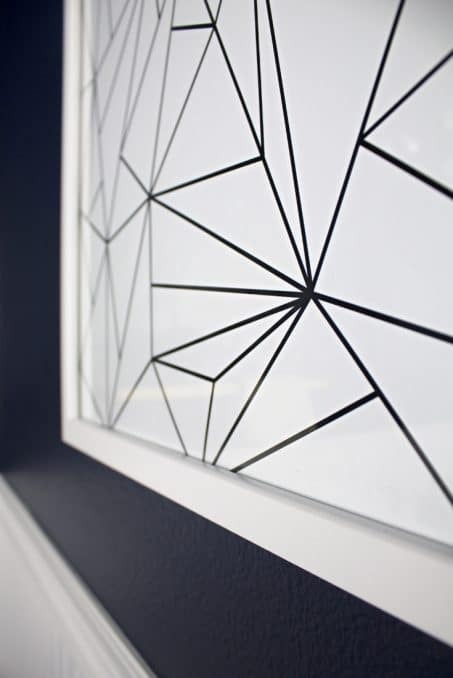 The room looks amazing and that last minute geometric art – perfect! I love the hardware you picked and the dramatic wall color! 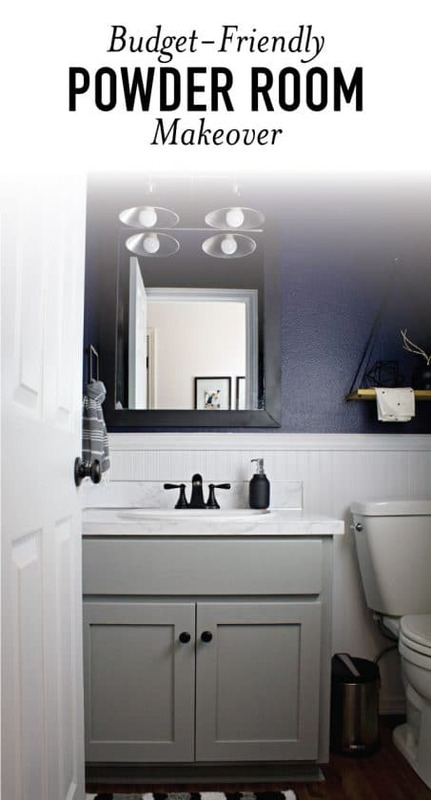 Great makeover, love your new moody bathroom. And all the little details, like the black taps are amazing. Great job! I love the wall color! And the fixtures in the mat black go so well with everything! Congratulations on finishing! So beautiful! I love the dark colors with the white! Your bathroom looks stunning! I love the paint color you chose and all the dark accents. Beautiful! Your room showcases the power of paint! Beautiful! Congrats Amanda and Cheers to us for another room done! 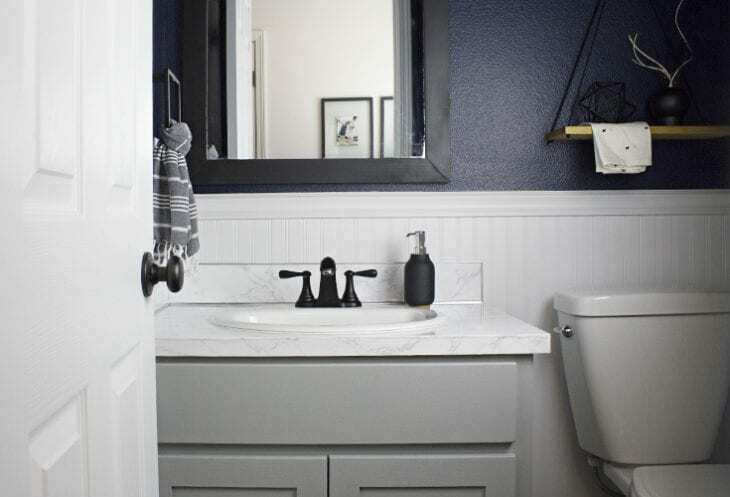 Great paint color and accessory choices (and a lot of effort) make this handsome bath a standout! No wonder you’re excited! This is such a wonderful makeover! I think these spaces get the most neglect by all of us, but boy, once we put some effort into them, they sure can become one of the best rooms in the house! Not only is this stunning, but you photographed it so well! Half baths are difficult to shoot and I struggled getting shots of my makeover. You’ll have to share your tricks. 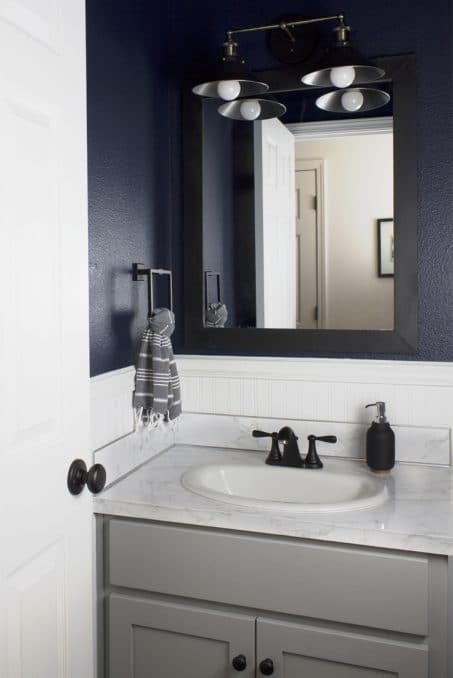 The navy is stunning as well as that marble countertop! Gorgeous reveal! Fabulous job! These small spaces are a bear to photograph, but you did an amazing job! 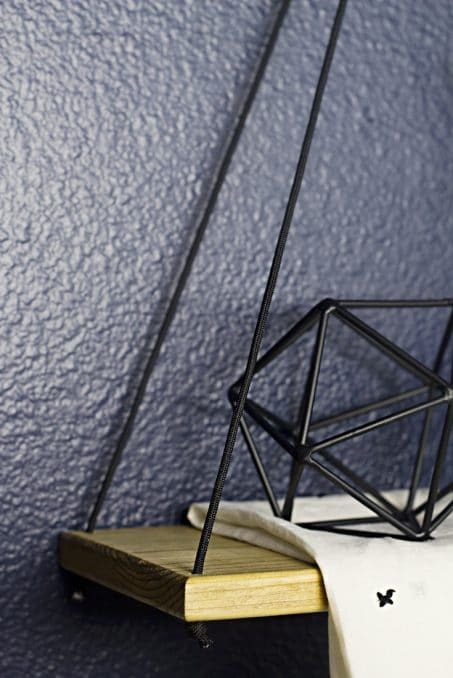 Love that shelf… will look forward to the diy! ? Seriously it looks Stunning. Specially those lights. I just pin it in my board.